If you're looking for the biggest-bang-for-the-buck power-management system in high-end audio, you found it. AudioQuest's entry-level audiophile-grade PowerQuest 3 power strip not only gives you surge protection and power filtration for your main stereo, computer audio, or home-theater system, it provides surge protection for a coax line (cable/satellite box) and Ethernet (to safeguard your network components, modem, router, and other computer-audio gear). 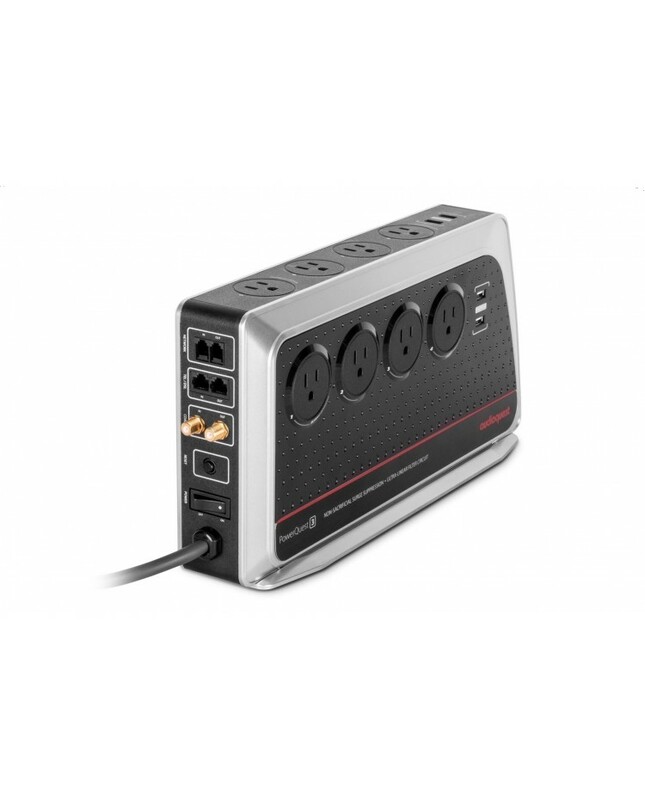 Did we mention it comes with a high-current, directionally optimized concentric-geometry power cord that automatically results in tremendous levels of sonic improvement by way of its non-IEC, captive configuration and incorporation of elements gleaned from AudioQuest's premier cable expertise?